In a recent post I used a little script to delay the onkeyup event for a set amount of milliseconds after the key was released. That way a callback will not be made for every key that gets released, but only once the user stopped typing. That post was brought up many times by a search for this specific function, so I decided to extract it into its own post. For this post I will only show an alert message to keep it to the bare minimum. This is just a timer which restarts itself every time the onkeyup event triggers. Once it runs out it will execute the function that you specify later. This is our input box which uses the onkeyup delay. We use our delegate that we created and pass in two parameters, the first is the function to call and the second is the delay before doing so. In this case it will wait 500ms before calling the showMessage function. NOTE: This does NOT work when pasting text in using the mouse. Disable right-click on the input box if you rely on this function to execute. Hope this is clear. Comment if there is anything unclear or if you have a better way for me to do things. Note that passing in ‘this’ to the function in the onclick event does not send the input through. 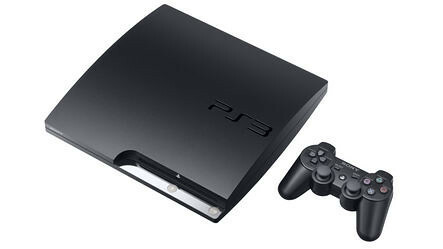 Reading the news this morning I found that the new PS3 Slim was released. I was really excited about this, especially the fact that it has got a matt black finish. As you can see in the image above, it looks awfully much like a STB; I am however pretty sure that it will look a look better in real life. So, I headed over to the official website and delve a bit deeper. Comparing it to my current system (original 60gig with hardware backwards compatibility support) I don’t think that I will replace the one I have. Being released in September 2009, just in time for Christmas, it would make the perfect gift. Amazon is taking pre-orders (here) but there seems to be no bundles available as yet.